The survey by Luxury-Hotels.com compared luxury hotels across Europe based on the rates for the most affordable double room during September 2018 – the month when hotel rates in most European cities usually reach their peak. With a minimum rate of 1,485 euros per night, the Aman Venice, located directly on the iconic Canal Grande, leads the rankings. In second and third place were two prestigious Parisian hotels, Le Bristol (1,362 euros) and Four Seasons Hotel George V (1,350 euros), pictured above. Indeed, with a total of eight Paris hotels featuring in the Top 10, the French capital emerged as the European capital of luxury hotels. Among the other Paris-based properties to appear were La Reserve Paris Hotel & Spa (1,308 euros), Hotel Plaza Athenee (1,290 euros) and Hotel de Crillon (1,265 euros). Meanwhile the city of Venice was further represented in the top ten by The Gritti Palace Hotel (1,175 euros). In London, the priciest hotel according to the survey is 45 Park Lane, located in the upscale Mayfair district. 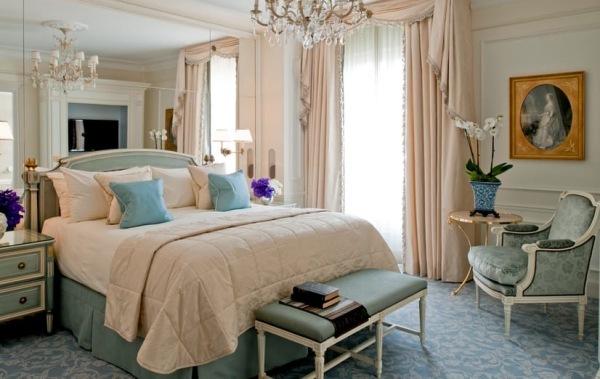 With a rate of 1,049 euros for the most affordable room, it ranks as the 13th most expensive city hotel in Europe. The following table shows the 20 most expensive luxury hotels in Europe. The rates shown reflect the price for the cheapest available double room in each property during September 2018. The survey was conducted in August 2018. For each luxury hotel in Europe, the most affordable rate for a double room during September 2018 was recorded, based on prices given by a leading hotel comparison website. For the purposes of the survey, three-night stays were used as a point of comparison. Cheaper rates may be available for stays of four nights or more.